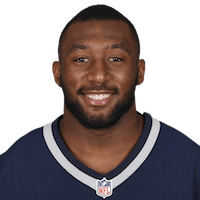 The Patriots waived Andrews on Monday, Doug Kyed of NESN.com reports. Analysis: Andrews went undrafted last spring after suffering an ACL tear during his senior season at UCLA, and spent 2018 stashed on the Patriots' Non-Football Injury list. Now presumably back to full health, Andrews will search for a back-end roster spot elsewhere in the league. Andrews (knee) will be a long shot to make the Patriots' 2019 roster, Doug Kyed of NESN.com reports. There are no videos available for Darren Andrews. Click here to view all videos.